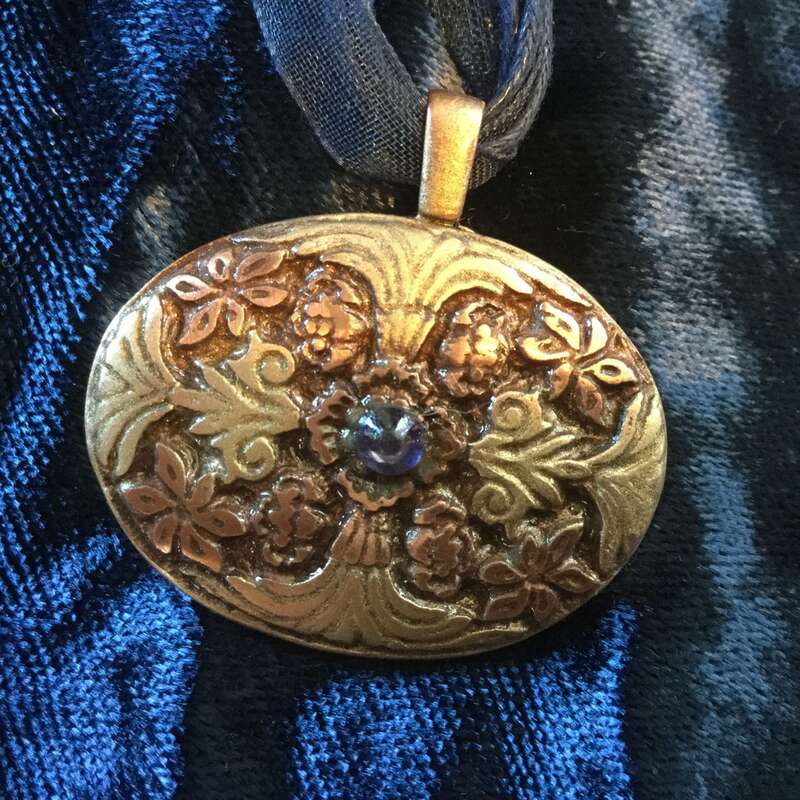 Notice the 2 colors of copper, the lighter on the 4 sides of the design is from a German silver gilding. 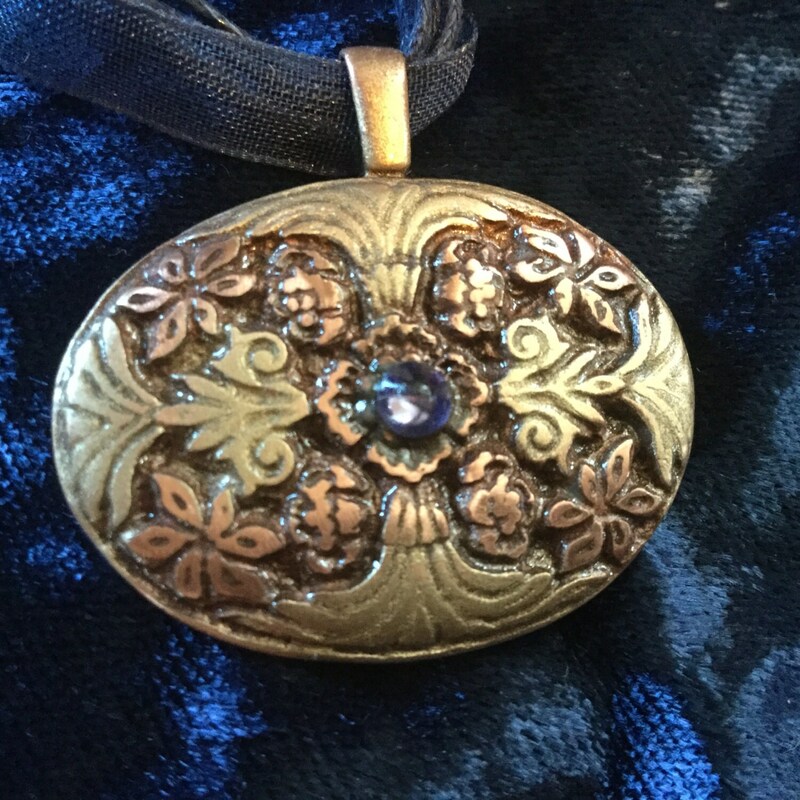 This design is perfect for everyday or special occasions. 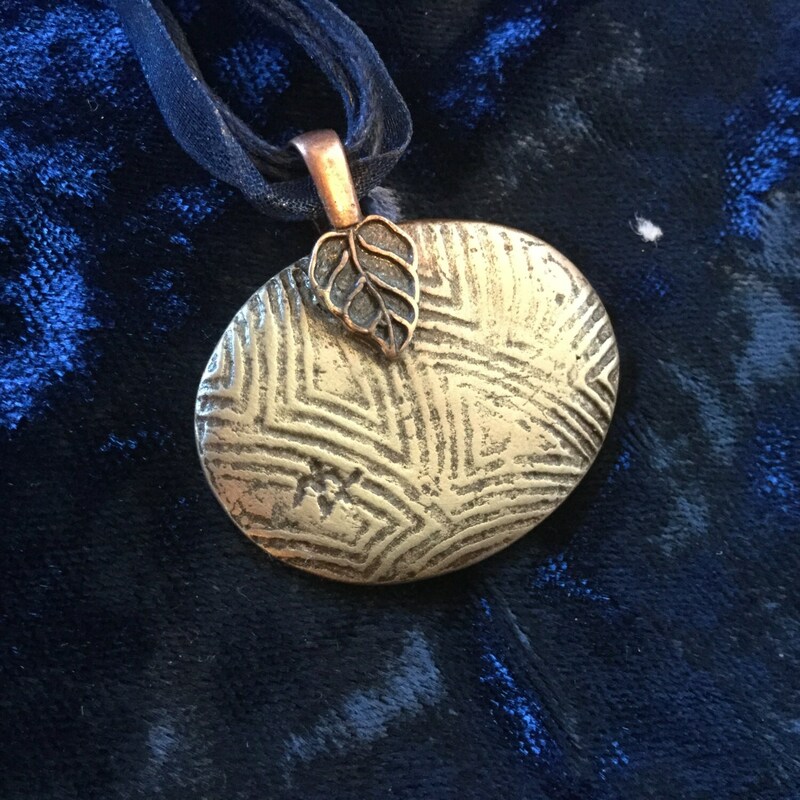 One photo shows the back of the pendant, signed by the artist. 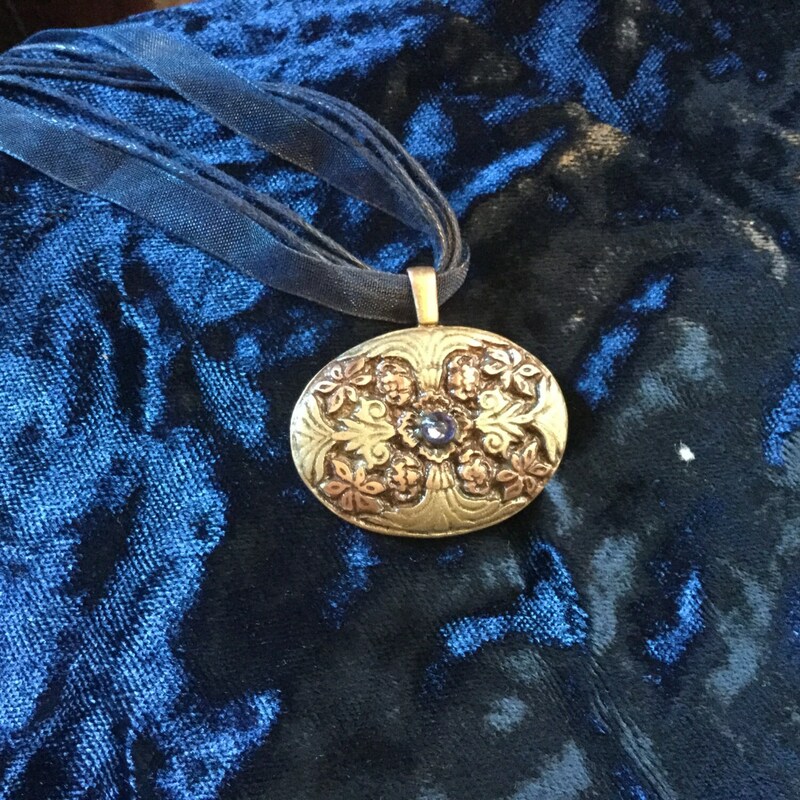 The pendant hangs from a multi strand silk ribbon in a dusty blue color, to match the color of the Swarovski crystal that is in the center of the pendant. 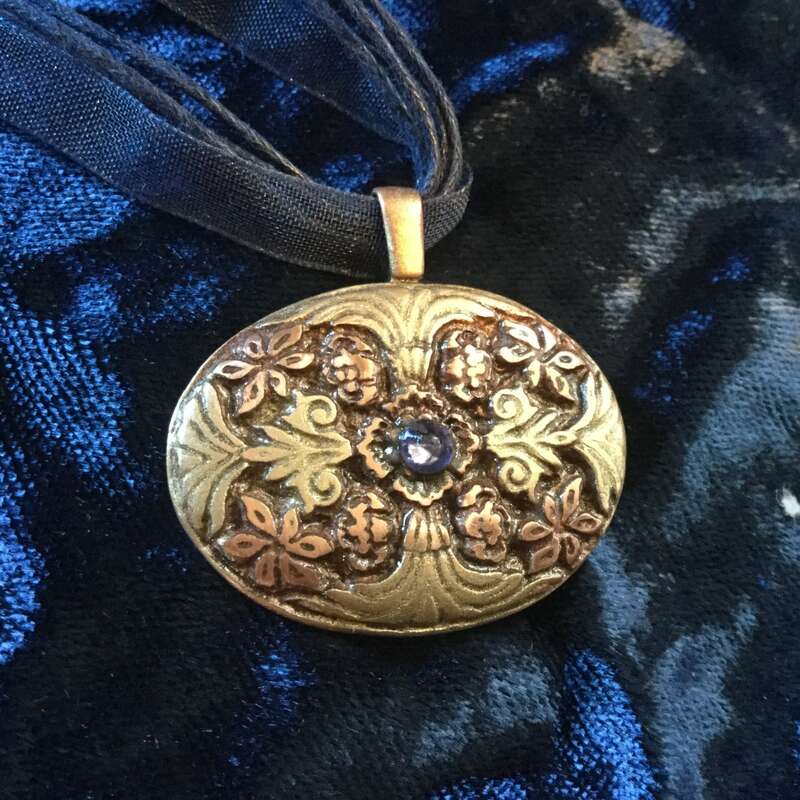 The pendant comes in a Chinese box that opens when the sides are pinched.